Our wiredecking for shelving can be used with all boltless, bulk and ‘Z’ beam style racks. 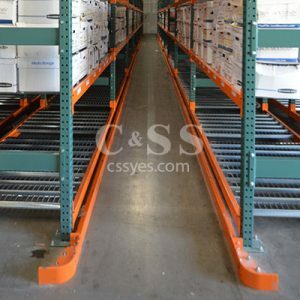 Customized sizing is available for non-standard racking. For capacity purposes additional “sandwich” wires are placed every 12 inches for extra support and rigidity in the application. Flanged channels can also be added for applications requiring extra support. 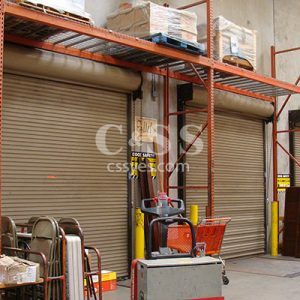 Standard construction is 2″ x 4″ wire mesh for shelving with other sizes available. A number of finishes are available. 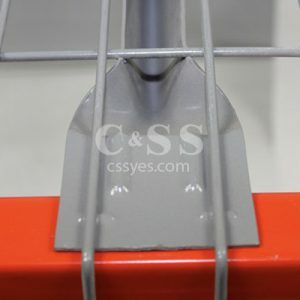 High quality powder coat finish is standard, buy you may choose from oven-baked enamel, hot-dipped galvanized, pre-galvanized, or electro-zinc plated finishes for additional weather and climate resistance. 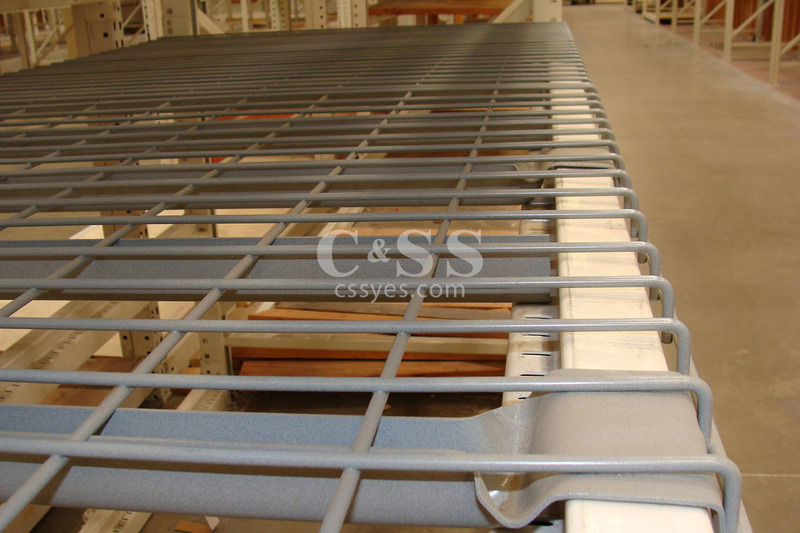 There any many option and sizes to consider when ordering wire mesh decking. To assist in our request for quote, some questions regarding you pallet rack sizes and weight capacity requirements need to be answered. With over 100,000 pieces of wire mesh decks in stock nationwide, we have the largest distribution and supplier network. Our complete selection of sizes and choices, allow us to offer the most competitive pricing and availability. Whether you need standard sizes, or custom designed wire mesh decks, we are your one-stop solution. There any many option and sizes to consider when ordering wire mesh decking. To assist in our request for quote, some questions regarding you pallet rack sizes and weight capacity requirements need to be answered. Visit our how to order form: wire mesh decking for pallet racks for easy instructions, illustrations, and quick quote form.